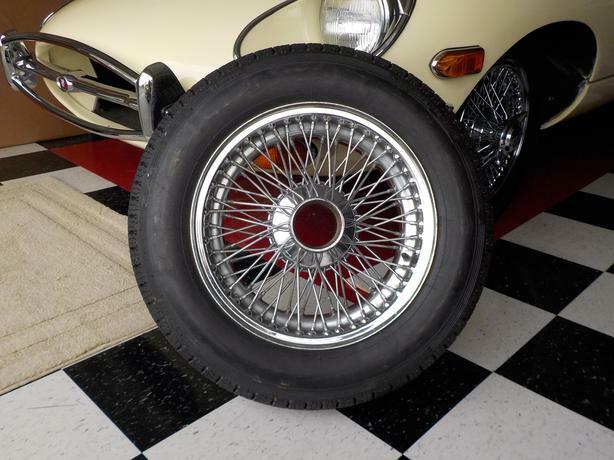 Four Jaguar Series 2 Wire Wheels and Pirelli Tyres size 165/15. The wire wheels are in super condition and the tyres have many miles left on them. These tyres were removed from my 1970 E Type.